When you’re outfitting your home, your furniture should do more than function. It should also reflect your unique style, taste, and eye for design. Mississippi’s best furniture stores provide all the pieces you need to keep your home fresh and fashion-forward. Give your rooms a makeover with a stop at these 10 best furniture stores in Mississippi. The options seem infinite in this sprawling array of furniture, also known as the largest furniture store in the Southeast. With choices for every room in your home, you’ll have no trouble finding pieces that suit your style (and budget). Most of their inventory is on-site, not in some faraway warehouse, so your new purchases can make it to their final destination much faster than other stores. 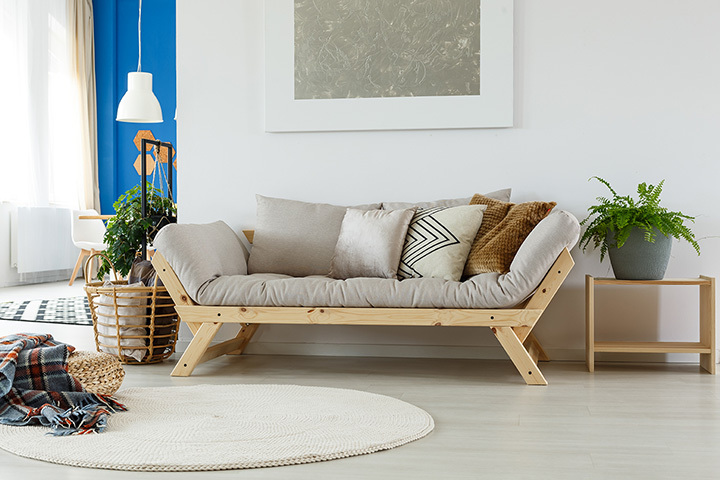 From fine pieces to outlet sales to mattresses and more, you can start and end your furniture shopping adventure in a single place. Located in the upholstery capital of the nation, this store offers 10,000 square-feet of options. In addition to furniture, you can also scoop up accessories and accents that will pull together any space to make it truly unique. They carry top names in furniture like Ashley, Bassett, and Craftmaster, so you can count on quality. Big city styles are readily available at small-town prices at Stash. They’re featuring middle- and high-end pieces to outfit your home and make it easy to create a magazine-worthy room. They also provide free design services to supply you with plenty of inspiration, so take advantage. Price match guarantees, easy financing options, and zero credit check make it easy to get the furniture you love. The folks here go above and beyond to make your finances work for you, while also helping you find the right pieces for your space. They also offer free layaway services so you can take advantage of deals without worrying about your next payday. From accent pieces to core furniture, you can find no shortage of variety here. Whether you’re local or just visiting, you can have your special finds delivered anywhere nationwide. Fans love coming here for the no-pressure sales process and design help. If you’d rather shop at home before heading to the store, their online room planning tool is like having a free interior designer on your team. This small town furniture store is a rare find in a world full of chains and mega retailers. Friendly, personalized service and hard-to-beat prices are why locals make this place their first choice. They have tons of furniture to suit any room and budget, from small dorms and apartments to stately homes and everything in between. For furniture on a budget, you’ll want to start your search here. They’re known for getting high-quality, name brand furniture straight from the manufacturers and pass those savings along to their shoppers. They also back all items with a 60-day money-back guarantee so you can shop with confidence. The folks here make it easy to turn any house into a home. That’s because their shoppers say this is as close to buying from family as it gets—everyone can feel right at home. With furniture and accessories for every room, taste, and budget, you can feel good about shopping here. This store really lives up to its name. Value is part of the process here, regardless if you’re buying a table and chairs or a whole bedroom suite. With brands like Simmons, Benchcraft, and Ashley, along with layaway and clearance items, it will be hard to walk out empty handed. If you’re dedicated to shopping small, you’ll want to check out the furniture here. Family owned and operated, this store has the personalized mom and pop service that chains and big box stores just can’t compete with. Need help? Take advantage of their in-home design services and flexible payments to create the space of your dreams.